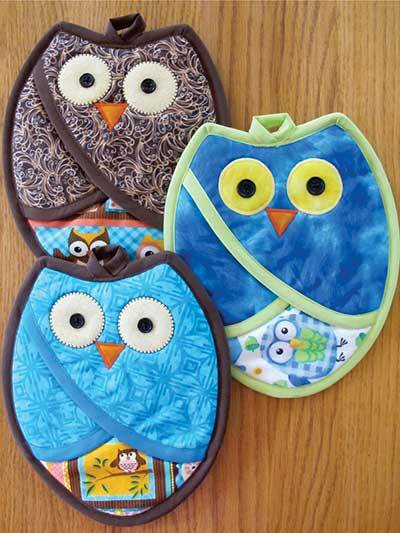 A set of adorable pot holders to spice up your kitchen decor! These darling pot holder patterns are both quick, easy and functional! The finished product forms a pocket in the front so your hands are protected from heat and flames. They're even fat quarter friendly so they're super quick-to-stitch. 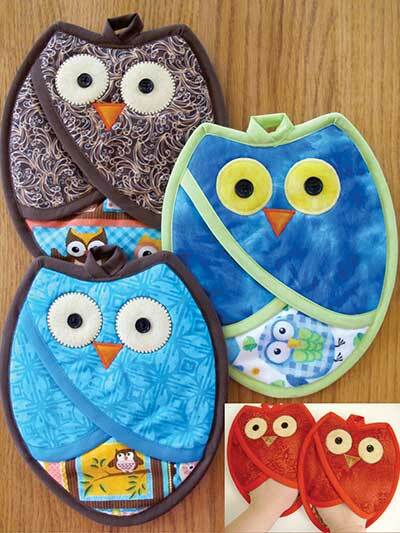 They make for great gifts for the owl lover or cooking aficionado in your life! 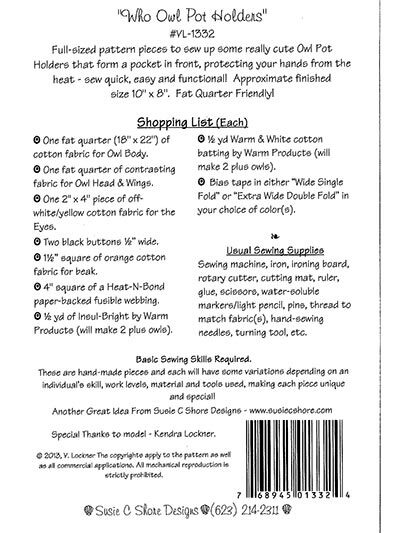 Each pot holder uses 2 fat quarters and measures approximately 10" x 8" when finished. Very easy to make. Have made 2 sets. One requested after the person saw the 1st. They are loved. Love the pattern ... another reviewer stated it had a measurement problem so I was prepared, but found a correction slip in the pattern, so glad! 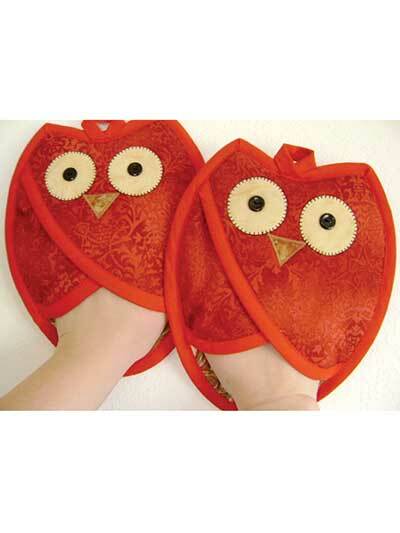 I just love this idea for pot holders. Pattern was easy to follow! Barbara -- Thanks for calling this to our attention. We've posted a new complete pattern for this product, which you can download from your bookshelf.